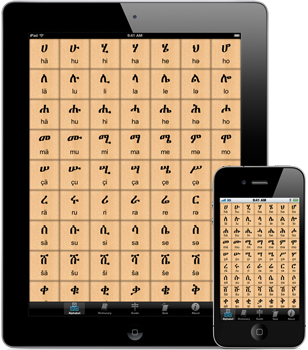 The smartest way to learn Amharic. Amharic is the official language of Ethiopia and it is spoken widely throughout the nation. Did you know that, after Arabic, Amharic is the most spoken Semitic language in the world? The Amharic Pocket Guide will easily help you learn the language whether you are traveling to Ethiopia or longing to teach your young ones. 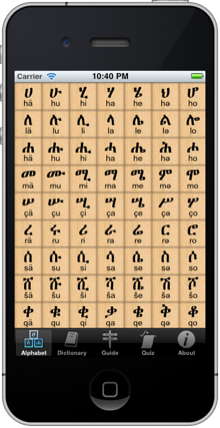 The Amharic Pocket Guide offers 128kb high fidelity and crystal clear audio for every Amharic character, word as well as sentence. The application has eight detailed categories and it includes useful sentences, recorded audio, and categorized translations. All recordings are done by a native Amharic speaker. We’re continually improving our application content and adding new words. 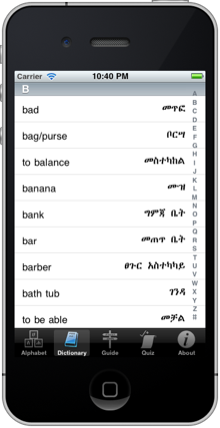 It is perfect for anyone who wants to learn Amharic. 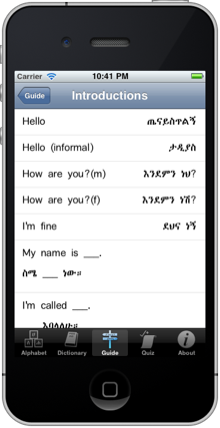 With Amharic Pocket Guide, learning Amharic is simply easy. Give it a try, you’ll be surprised how much you learn! 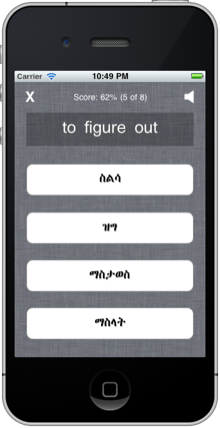 Amharic Pocket Guide works with the iPad, iPhone 4, iPhone 5, iPhone 6, and iPod touch.